T Target creature gets +1/+1 until end of turn. 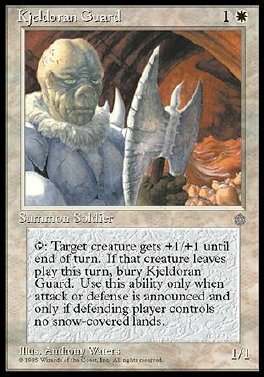 When that creature leaves play this turn, sacrifice Kjeldoran Guard. Play this ability only during combat and only if defending player controls no snow lands.